Recently, I read a report about prepaid debit cards and their use. I was surprised to learn that more than 60 million Americans are using this alternative to a bank checking account. And most surprisingly, prepaid debit cards are not only used by people with poor credit. 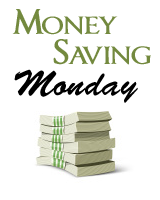 In some cases, it is the best way to manage your money with the lowest fees. The very first advantage I can see is that they are very useful to help manage one’s budget. If you credit $1000 to your card, there is no way you can’t spend more than that! Therefore, you can establish that you should be able to live with $1000 per month and pay everything with your card. Since I work for a bank, I can tell you that it is way more complicated to get a refund as a victim of fraudulent use of your checking account than if your prepaid debit card or credit card gets stolen! Another good point is that the thief can’t spend more than what is on your card. 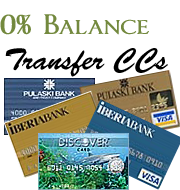 Prepaid cards are widely accepted anywhere. Therefore, it is as convenient as paying with your credit card”¦ except that you don’t have to pay interest on your purchases! If you are afraid of identity theft while shopping online, prepaid debit cards can be one of the best ways to do your shopping in a secured fashion. Since there is no personal information stored on the card, you have less risk of being part of an identity theft nightmare. Even if the recent study from Breton Woods showed that some people can save money using prepaid debit cards compared to regular checking accounts, there are still a lot of fees attached to them. You usually have to pay to obtain an account (the card itself), to load it with money (and reload it as needed) and there may also be cancellation fees. Therefore, for someone who does a lot of transactions, it might not be the best way to proceed. 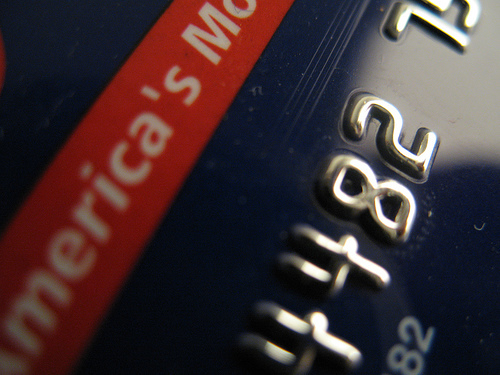 Prepaid debit cards were once created to help individuals with poor credit ratings. Since they couldn’t get access to a credit card, this alternative was good enough to offer access to the world of capitalism. However, prepaid debit cards are usually not reported to the credit bureau. Therefore, you can’t use it to rebuild your credit history. Gift cards will always be heavily debated topic when it comes to offer a nice gift to someone you appreciate. While gift cards are not the most original gift of all, the prepaid debit card has the advantage of providing money without a limited range of stores. The person can buy anything they like. Your take: do you use / like prepaid debit cards? I personally don’t have one so I was wondering if you had one and how you use it? I arranged for a prepaid debit card about four years ago for my daughter. She was in high school and just starting to travel by herself. I thought it would be a convenience for her at the airport. We bought the card from our bank. But we ran into limitations with prepaid debit card. One day we saw some luggage at a department store on a really good sale. The department store cash register would not take her prepaid debit card, but that was the only significant “cash” she had available. We had to make another trip to the store with an alternative method to buy the items. I don’t know why the department store machine wouldn’t take the debit card. The clerk couldn’t tell us either. There was more than money in the debit card account. After my daughter finished up that debit card, she never got another one. The way we see it — If you can’t use a prepaid debit card for “general purpose” purchases, why bother? I do not use one. And if I had a similar experience as Monroe, I wouldn’t have used one again. However, the new financial “trick pony” these days is a pre-paid environment. For example, with cell phones. We are at a 90% market saturation for users, so most providers are selling ‘pre-paid’ cell service. I have a feeling that the banks will also jump on the band wagon and improve their pre-paid debit cards soon. The market will demand it. We just got one of these as a perk for upgrading our internet service from AT&T U-verse. They work fine, but I would never think to preload a card like this just for personal use. I would probably only use this type of thing if it were received as a gift or promotion. I won a pre-paid debit card as a prize at my school’s After Prom my senior year and it was great as I was going off to college. I went to school halfway across the country and didn’t know what all I’d need to buy once I was there, so it was nice to just have money I could spend however I needed to. I don’t know that I’d use one for my day-to-day expenses, but I would definitely consider getting one for big vacations where I want to have access to money, but I’m worried about losing the card/having it stolen. I love using prepaids for several of the reasons you mentioned above.